Mead Fluid Dynamics has been in the Pneumatics field since 1939 with over 68 years of experience, helpful in shaping the pneumatic valve and pneumatic cylinder. Mead also offers specialty valves viz. Dash/Panel mount valves, Slide/Lockout valves, Air Timers, Pneumatic Impulse Relay Valves, etc. Founded in 1982, Chanto has more than 26 years of experience in fabricating pneumatic and hydraulic products. Chanto highlights the Five Perspectives - ”Union‧Efficiency‧Innovation‧High Quality‧Quick Response” drawn from Applied Theories of pneumatics which are and applicable in Daily Practice. 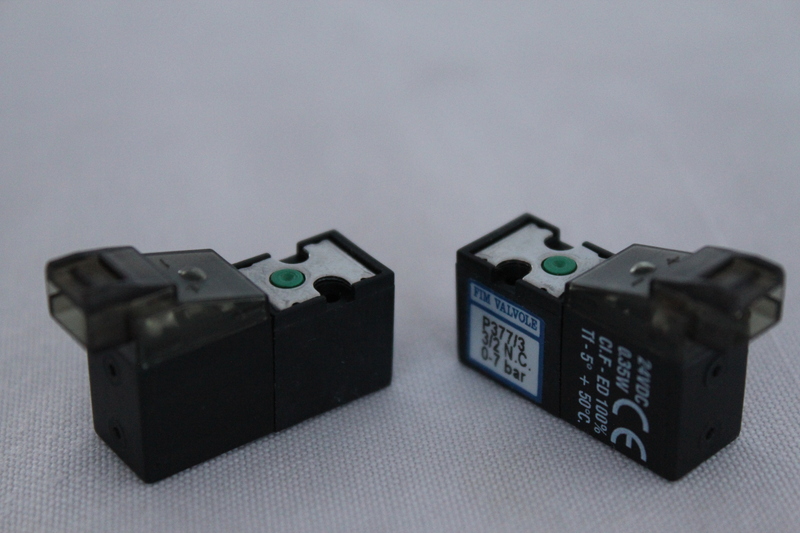 Fim Valvole incorporated in 1995, is one of the well known producers of Miniature Pneumatic Solenoid Valves. Fim’s direct operated solenoid valve differs from the competition in its minimum overall dimensions viz. 10mm & 15mm. Their specific design allows single or gang mounting in narrow spaces. Custom designs are available to operate at 20Bar pressure.